A Christmas Audio Book GIFT for my Special Readers! ​Most probably you know "A Christmas Carol" but I thought you might like to hear the version Charles Dickens usually read to his audiences. 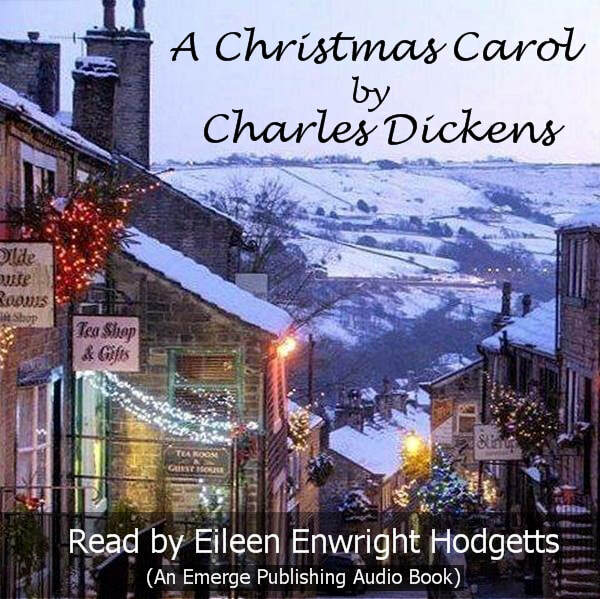 I love the story so much that I decided to read it myself just because it brings back so many memories of England, Wales and our local theater in Pittsburgh where I once played Mrs. Dilber. We're offering it FREE to find out how well an Emerge Publishing Audio Book works through this method of delivery, so any feedback would be appreciated. cat. Just a free gift for being interested in my writing. ​Click on Download File above. It's an MP3 file so you should have no trouble playing it on any device. (It's about an 85 Mb file so it might take a few minutes to download). If you listen to audio books on an I-PHONE or I-PAD, you will need to install a "downloader" app from the App Store that is able to download and play MP3 files.